The Central Board has directed the schools to upload the practical examination marks by 25th February 2018 on the website. The CBSE will issue date sheet for Board examinations 2018 by the end of December or in the 1st week of January next year. As per Board’s circular dated 8th December 2017, the affiliated schools across the country will conduct the practical for 10th and 12th class on the above said date. They will submit the internal grades for students of 10th class to the board. CBSE has already dispatched the answer sheets for 12th class practical examinations. 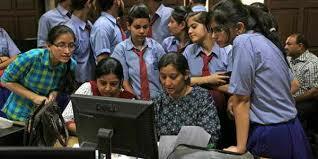 The CBSE has not yet released the date sheet for Board Examination of class 10 & 12. Central Board of Secondary Examination will announce the date sheet for 10 & 12 classes in the early week of January 2018. CBSE has asked the affiliated schools to conduct the practical between 16 January & 25 February next year.